The record is not for this Dora Flassig, but for her daughter. 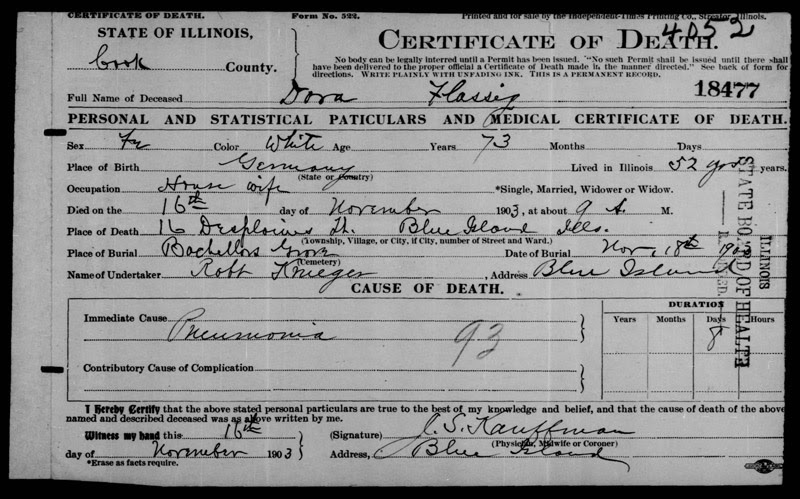 If you scroll down on that webpage, you'll find a copy of Dora (née Flassig) Newman's death certificate which states her mother's maiden name is Moore. On her daughter, Sophia's death index, her maiden name is listed as Mohr. I was able to find both Doras living in the same household as mother/daughter in Bremen Township on the 1880 US Census. In addition, I was able to find her birth month from the 1900 US Census.